Do you have a gifted child? If you do, you would understand that having gifted children is not as easy as most parent thinks. Your kid needs more attention, care, and love than regular ones. Are you confident that you know and can deliver those things to your child? This audiobook will help you do that just that! The future of our society depends on our gifted children - the population in which we’ll find our next Isaac Newton, Albert Einstein, or Virginia Woolf. Yet the gifts and talents of some of our most brilliant kids may never be recognized because these children fall into a group known as twice exceptional, or "2e". Twice exceptional kids are both gifted and diagnosed with a disability - often ADHD or an Autism Spectrum Disorder - leading teachers and parents to overlook the child’s talents and focus solely on his weaknesses. Too often, these children get lost in an endless cycle of chasing diagnostic labels and are never given the tools to fully realize their own potential. 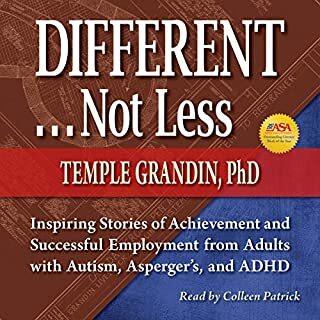 Temple Grandin, PhD, is a professor, prolific author, and one of the most accomplished and renowned adults with autism in the world. 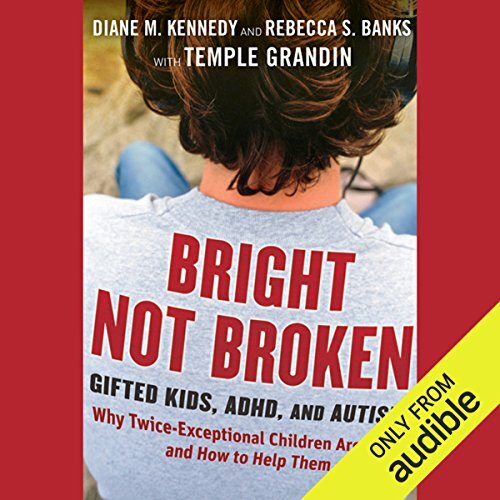 ©2011 Diane M. Kennedy and Rebecca S. Banks (P)2012 Audible, Inc.
Would you listen to Bright Not Broken again? Why? Yes - I sent a sent a gift copy to my brother so he could listen, too. What does Vanessa Hart bring to the story that you wouldn’t experience if you just read the book? Actually, I wouldn't have chosen her for this book. She has a very sultry and melodic voice -like a saxophone.It didn't match well , in my mind, to the topic. She did a beautiful job presenting the information - did not sound like a robot *reading* something, she *presented* it.I would love to hear her read a less fact-centric book like a fiction, or a biography. This would be a great book for every teacher; even teachers of adults. (People seem to forget that gifted kids, and kids with learning differences, AND 2E kids who are both gifted add have learning differences all grow up and many go on to college and/or to have reltaionships and families. )This would also be great for parents / guardians / spouces who have trouble envisioning what is going on in theri loved one's mind. Chances are one or both of the people in the realtionship is represented in this book. Parents of kids with high functioning autism (aspergers) seeking public support. 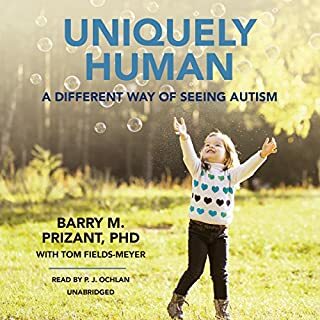 This book is an intersection of scientific research and mostly legalities related to classification of autism and advocating for government/public support for high functioning autism.The language and the way it's written makes it a very boring read/listen even for a parent who has autistic child. It seems the only goal of this book is to advocate for more public support which is a good goal. However the book feels dry and not engaging enough. I couldn't finish it. Whilst I fully agree with the concept that gifts are more important that disabilities, this book is filled with jargon ONLY applicable to the American school system. What is of value to the rest of the parents who live all over the world, is actually very little. There should be a note on the book that we should not waste money on this one! Everyone parent and teacher should read this one! 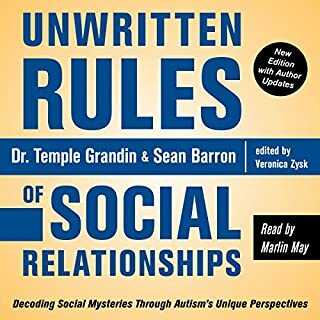 I have to praise Diane M. Kennedy , Rebecca S. Banks and Temple Grandin for giving us the present that is this book. I started reading this book because I am a teacher, and I want to help my students, as well as be prepared to what may happen in my classroom and who may be a part of it in the future. This book brings scientific information in a way any lain man would understand, but I'd have to say that it is supposed to be read/listened to more than once in order to keep and apply all you learned with it. And it is the kind of book you have to listen and take notes as well. 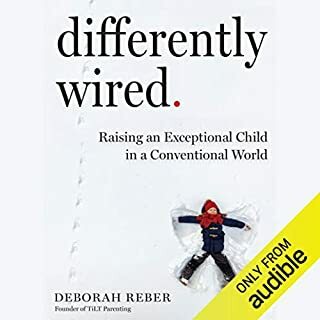 I'd highly recommend this book to anyone who would like to learn more, as well as to those who want some guidance when it comes to dealing with 2E children. It is a pity, however, that sometimes we don't have all the tools presented here to fight this battle at our disposal. great eye opening read! lots of data included as well as resources. I appreciate the clear cut break down of each 'disorder' and am happy to know emphasis should be put on the positives not the negatives. It is clear that time, resources and research was put into this book. Exactly what I was looking for finally! What made the experience of listening to Bright Not Broken the most enjoyable? It was informative, hopeful, and made complete sense! There were many too many to note or choose from. This was one of very few instances where I didn,t finish a book. 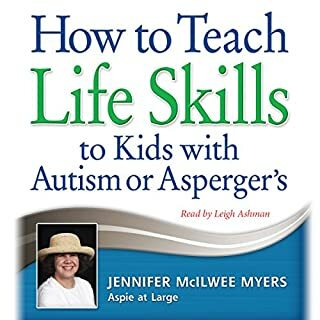 I stuck it out for a long time but still didn't get past the complaints about present day diagnosis and medication to get to any tips and useful information on how to actually be a better parent for your autistic child. Narration was terrible, and I'm sure that ruined my experience. Vanessa should be reading sleazy sexual material instead of books on parenting. 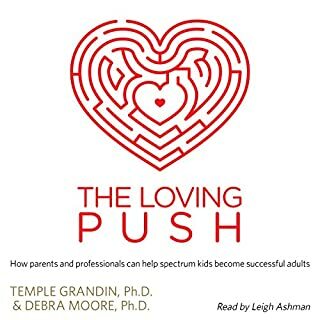 This book has credited "with Temple Grandin". I found her books Thinking in Pictures and The Way I See It to be vastly more helpful and practical for an every day parent. This is one of the best books I have ever read about the state of affairs that occur within my (and my daughters) head. It gives great tips on how to navigate the world of NCLB with a 2E child!!! Bravo! first part of the book is a wide ranging introduction. middle part is a highly technical critique of the reference documents. final part is a more useful, for my needs at least, section on how to work with children/people with varying degrees of gifts and challenges.